No, not Dirk Benedict the other one. 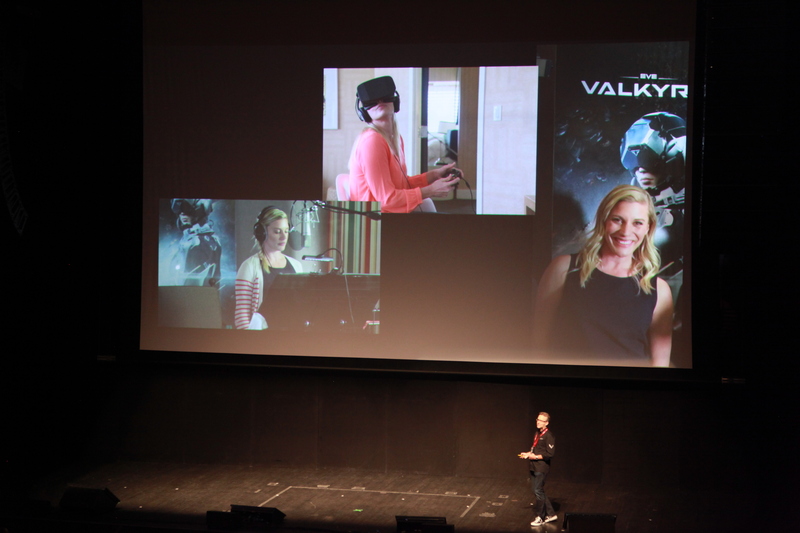 During the EVE Valkyrie keynote at Fanfest 2014, Owen O'Brien, Executive Producer on EVE Valkyrie, announced that Katee Sackhoff would be lending her vocal talent in the starring role of RÃ¡n. O'Brien spoke of that with VR, the literal voice in your head became increasingly important to get right. 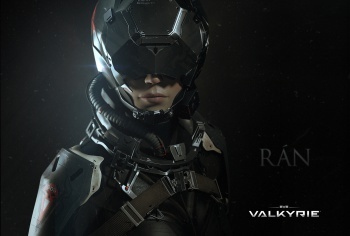 A small list of names was drawn up for who could properly portray the role of the leader of the Valkyrie fighters, and Katee's was firmly at the top. 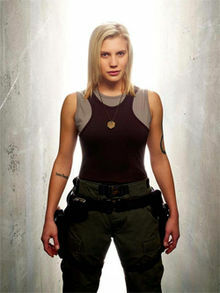 No doubt due to her roles in various sci-fi properties, especially as the hotshot Kara "Starbuck" Thrace in the recent Battlestar Galatica reboot. 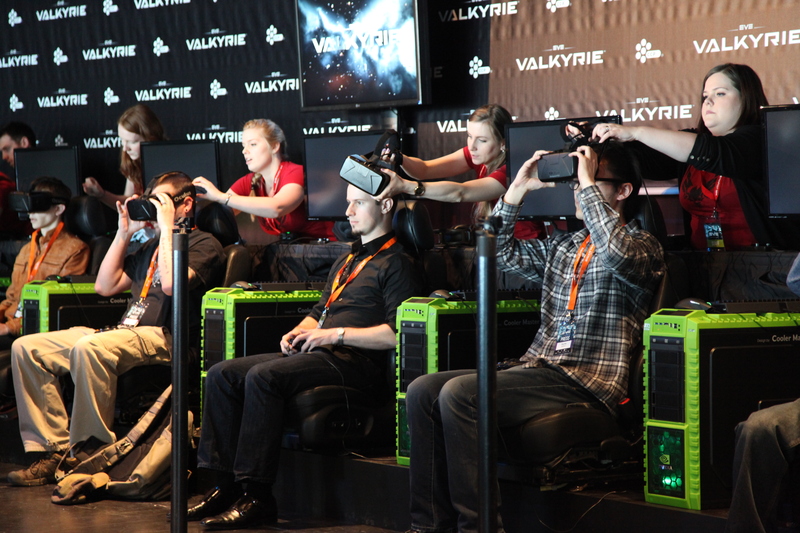 EVE Valkyrie actually started life as simply EVR. EVR was little more than a demo a few CCP employees had pooled extra time on. A fun proof of concept to make use of the Oculus Rift headset. 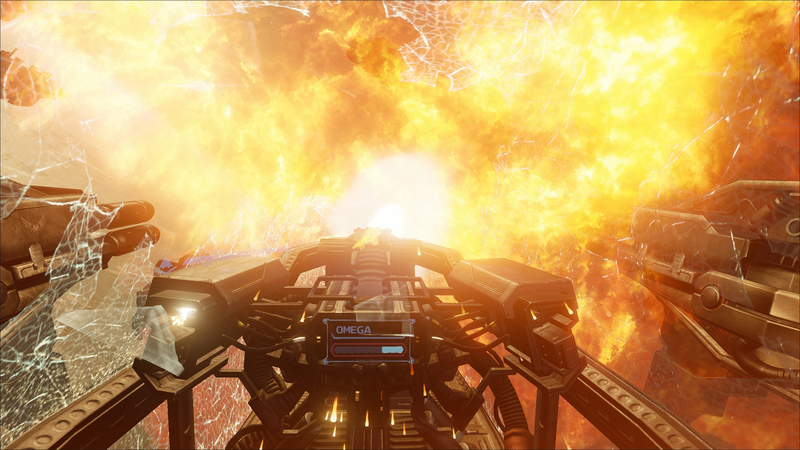 The demo was simple enough to grok for pretty much any fan of flight simulators or sci-fi in general. Small squadrons of fighters fly around in space blasting away with canons and launching racks of missiles that corkscrew away at enemy fighters. 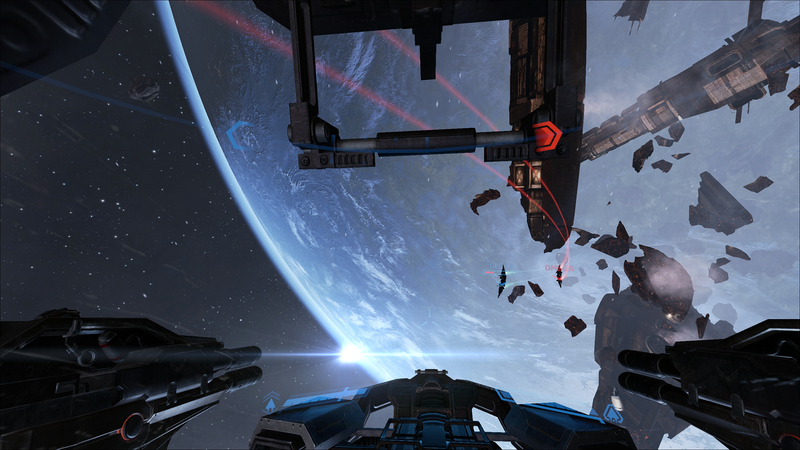 The real linchpin was the head-tracking though, allowing to to fly in one direction and look or aim in another by simply moving your head. 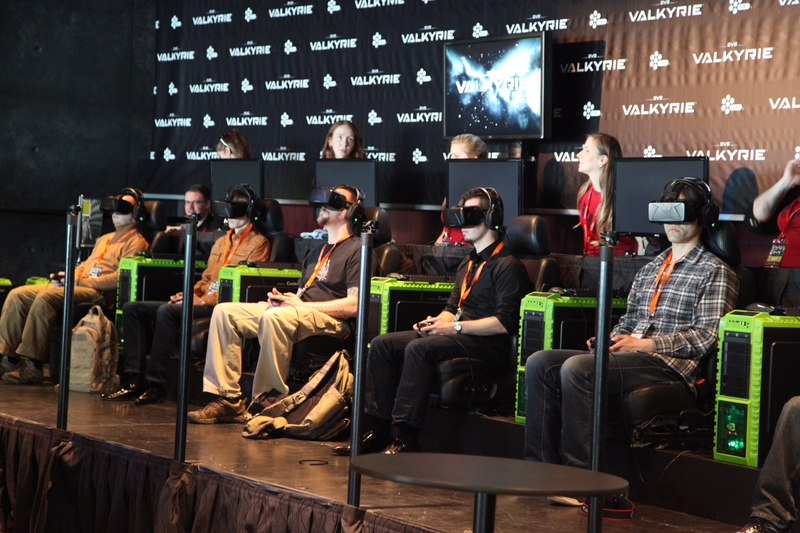 Little did anyone at CCP know, EVR was destined to be an absolute hit at Fanfest and every other show it was shown at. 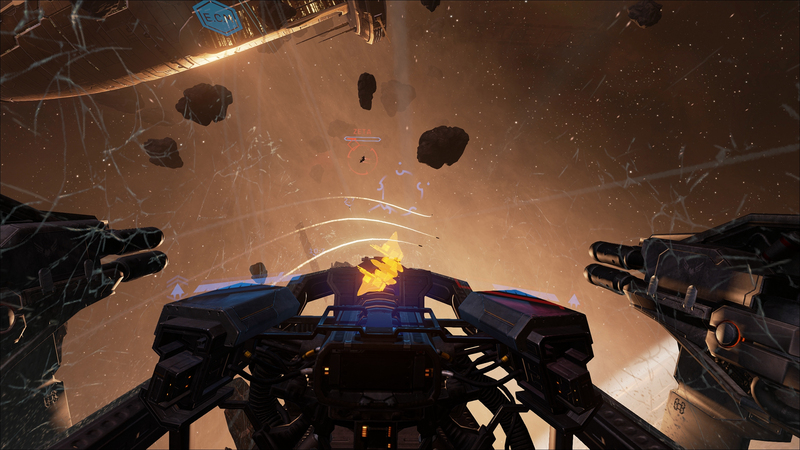 It didn't take long before EVE Valkyrie branched out to a larger team in order to fully flesh the game out, even confirming it as a launch title for Oculus Rift. 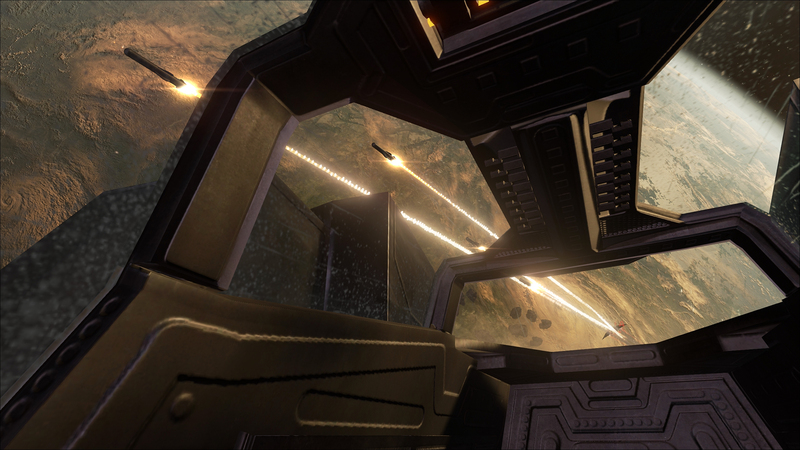 Now with Starbuck barking out orders over the comms, EVE Valkyrie brings the immersive dogfighting experience together even tighter than before. Katee had a message for the Fanfest 2014 audience that can be heard here, fair warning the language is a bit NSFW.